Harbour Town is a popular retail destination in Melbourne, offering 2 levels of laneway shopping with over 90 direct outlet and speciality stores. Located in Docklands and easily accessible by car and tram, it is best known for discounted prices across homewares, gifts, sportswear, jewellery and fashion brands. Unknown to some, Harbour Town also offers entertainment and attractions such as O'Brien Group Arena, the largest ice arena in Australia and Melbourne Star, the Southern Hemisphere's only giant observation wheel. It also hosts many activities throughout the year including Christmas celebrations and school holiday fun for the kids. This winter, Harbour Town is serving a schedule of children activities from June to August. Here is a quick overview of what's in store to keep the kids entertained while you do some shopping and grab a bite from the many eateries in Harbour Town Melbourne. 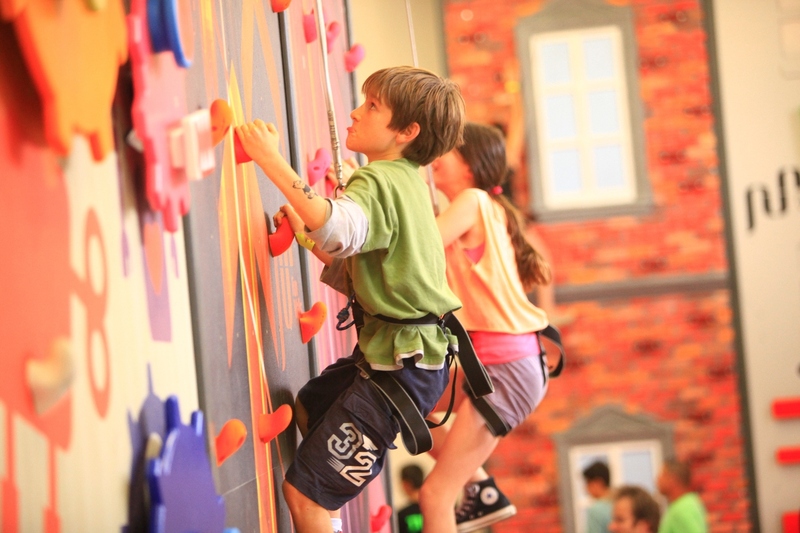 Rock climbing is not just for adults. Now kids can try out rock climbing for FREE in a safe environment. The wall is up to 8 metres high. Children can enjoy an afternoon moulding with Play-Doh at the ground floor near Le Cirque. There are also photo opportunities with Red Doh Doh and Purple Doh Doh when they appear to meet and greet the kids. Best of all, they get to bring home their own Play-Doh tub. Kids love jumping castles and yours can enjoy bouncing on one located at the ground floor near the food court. If the ice skating rink at Federation Square during Light in Winter is too crowded, then grab the kids and head over to Harbour Town Melbourne. Kids can play in the falling snow and build their own snowman. Best of all, its FREE.